Creativity Australia is passionate about nurturing communities across Australia to sing together in the spirit of joy, wellbeing and inspiration. We are therefore developing a With One Voice Family network of affiliate choirs which follow an inclusive model. This evolving directory is shown below. If you would like to link your choir to our With One Voice program, contact us. 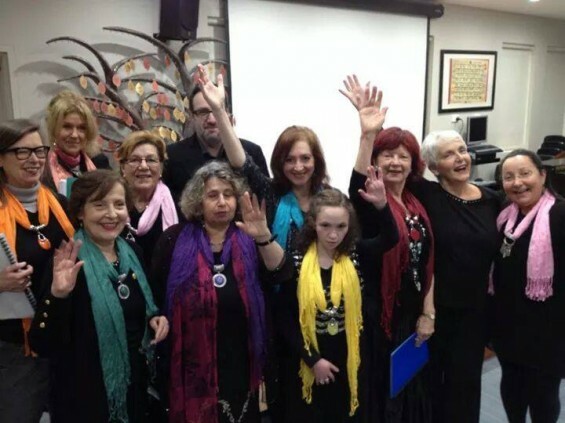 If you would like to start a new inclusive choir, check out our MyChoir project. Description: Our choir is an all inclusive choir, members are from all walks of life. We dance, move and mime. People with special needs are encouraged to perform solos, empowering people and allowing their self confidence to flourish. Find The Daydream Believers on Facebook. If you have an existing community choir, why not join the With One Voice network as an associate choir? With One Voice choirs are open to everyone, regardless of background and experience. As well as providing an outlet for creative expression, they promote the development of friendships and networks to promote social inclusion and community strength. When many diverse voices come together as one, the results are transformational. To discuss becoming an Affiliate Choir please contact us.